These pants are a total hit for your wardrobe this season girl. 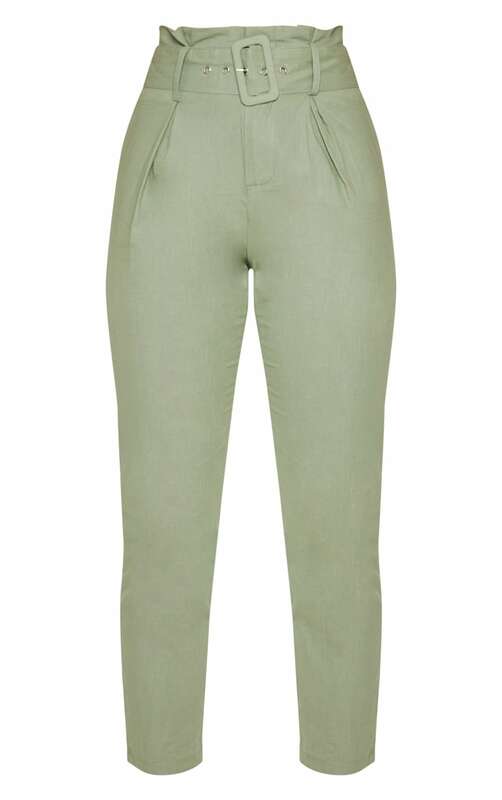 Featuring a sage green material with an attached belt, paperbag waist and tapered fit. Team with a yellow crop top and fresh kicks for a chilled off-duty vibe.